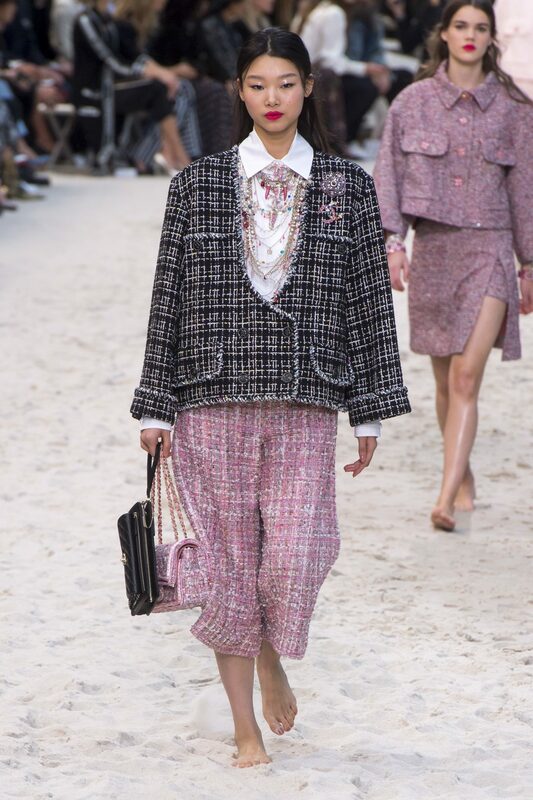 If anyone can pull off a tropical beach runway with fake waves it would have to be Karl Lagerfeld. That’s exactly what he done for Chanel’s latest show. It was a show of real and relatable ready-to-wear fashion. With the rise of the Parisian Chic style this year, it was not surprising that it held a big influence amongst a lot of the pieces and looks. Bare-foot, the models displayed the laid back carefree vibes of a French girl. Female social confidence was portrayed throughout the show with a lot of pieces being influenced by the bourgeois classics such as beige, suits for women, silk dresses, chain bags and bold statement logos. There was a lot of 80’s tweed jackets, suits and skirts. Leggings and cropped leggings look like they will be making an appearance next Spring as this particular garment was heavily worn on the catwalk. 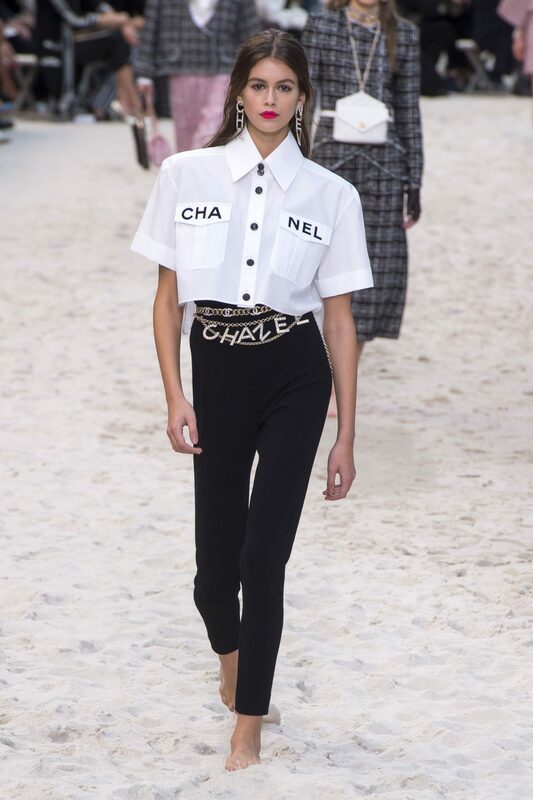 This is a definitely well made collection and I wouldn’t expect anything less from the Chanel house.